An experienced legal practitioner since 2012. Qualified as a solicitor in 2016, Barrister 2018, Bar Standards Board approval to act as a Solicitor or Barrister with parties consent and where no conflict arises. Clients must be aware of which capacity Salman is acting for them, Barrister or Solicitor. He has chosen to act as a Barrister via Clerksroom. Salman is based in Greater Manchester and is happy to travel upon instructions. Salman has extensive experience having worked as a Solicitor-Advocate (with Higher Rights of Audience in Civil) in a medium-sized firm before becoming a Barrister in 2018. As a result, he is uniquely placed to understand the pressures of Litigation. He further has an excellent understanding of the need to instruct Counsel and be tactically astute in handling matters; he appreciates the importance of a pragmatic and commercially focused approach. 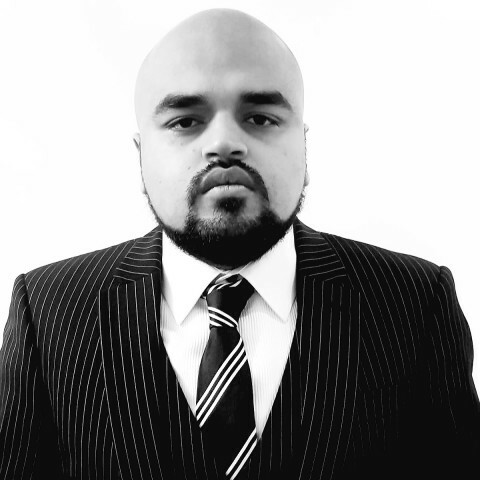 Salman’s particular specialism is in Road Traffic Accidents with a particular focus on Taxi Credit Hire Litigation. He also understands and has dealt with matters involving Employer’s Liability and Public Liability cases. In addition, he has Family Law and Immigration Law experience. Besides, he has experience in more general Litigation matters, so would welcome instructions on any civil matter commensurate with his level of experience. He is qualified to accept instructions from members of the public under the Direct Public Access Scheme. He is also a member of Punjab Bar Council and is qualified within jurisdiction of Pakistan. Although, he is focusing on his practice in the UK. He is able to advice on validity of divorce obtained overseas and whether a divorce obtained in Pakistan is valid in the UK. Furthermore, he is also able to comment on authenticity of Pakistani divorce certificate. He has appeared at Immigration Tribunal for Spouse Visa Appeals. He is keen to enhance his Immigration practice further. He has conducted numerous Civil hearings in the County Court including a wide variety of applications, hearings and claims. Salman is happy to accept instructions on behalf of both Claimants and Defendants. He is also happy to accept instructions to draft pleadings and advices on quantum and/or liability. He is happy to work on short deadlines where papers need to be turned around quickly. In Civil Courts, Salman can be instructed for Case Management Conferences, Costs and Case Management Conferences, interlocutory application hearings of all kind (telephone or in person), Infant Approval Hearings and Stage 3 hearings, Small Claims Hearing, Disposal Hearings. As a Solicitor-Advocate, he was known for his client-focused approach and his ambition to achieve the best possible outcome for his clients in every case. He was short-listed for Personal Injury Eclipse Awards as “young achiever of the year” for the year 2015. Furthermore, he was also short listed as a “young achiever of the year” for British Muslim Awards for the same year. Salman’s experience has enhanced his technical knowledge and is known for his great attention to detail. He has represented clients in a Spouse Visa appeal on Pro-bono basis. He also represented another client in Commercial Litigation where the client could not afford a Commercial Lawyer and he happily advised on the issue, which concluded the case. In his free time, he likes to spend time at home with family. We don’t have any client feedback for Salman Shah at this time. Outside of these key areas of law, Salman Shah is always willing to consider any enquiry requiring the experience or knowledge needed to help you or your client. Please call Salman direct or the support team on 01823 247 247 if you would like to discuss any aspect of this profile.